Upcoming Presentation for the Society for Women in Philosophy! – Laura Wildemann Kane, Ph.D.
Home>Events>Upcoming Presentation for the Society for Women in Philosophy! Upcoming Presentation for the Society for Women in Philosophy! 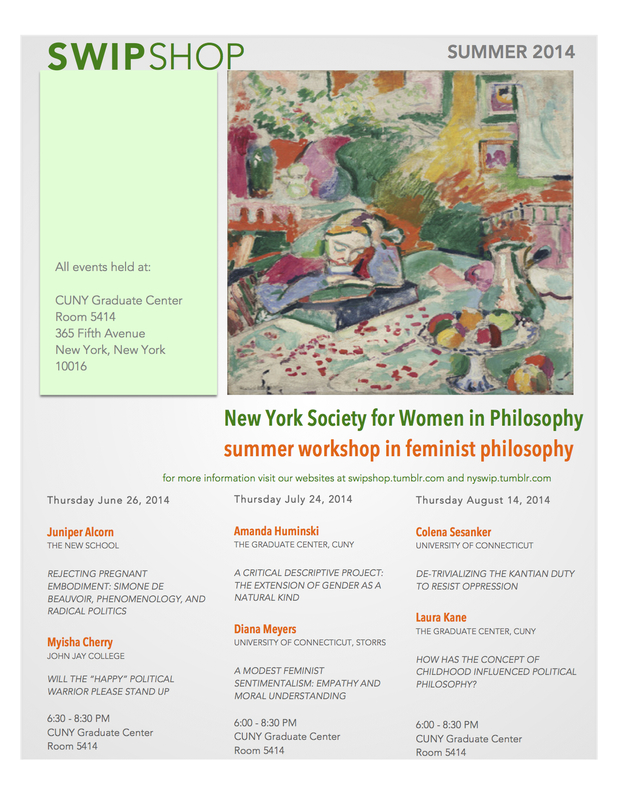 I will be presenting a work in progress at a Summer Society for Women in Philosophy (SWIP) Workshop in August! I’m happy to have this opportunity to present some new ideas and get some much needed feedback. There are some other fantastic presentations throughout the Summer as well – the full calendar of Summer SWIPshop talks below.